Day One Road to Cali…. Day one was busy busy busy, but the best thing about the first day was Roxanne who visited our booth and told me that Primitive Gatherings was on her bucket list…she was in tears because she finally was here….this was totally awesome…so I took her picture to document her visit to our mobile Primitive Gatherings she was a cutie!!! Well it’s late and we have to be in early to restock… Thanks for coming to the show today… Everyone was super pumped about our Murrieta store… And we were out of 500 address cards by 1 pm… I believe there were record attendance numbers today!!! 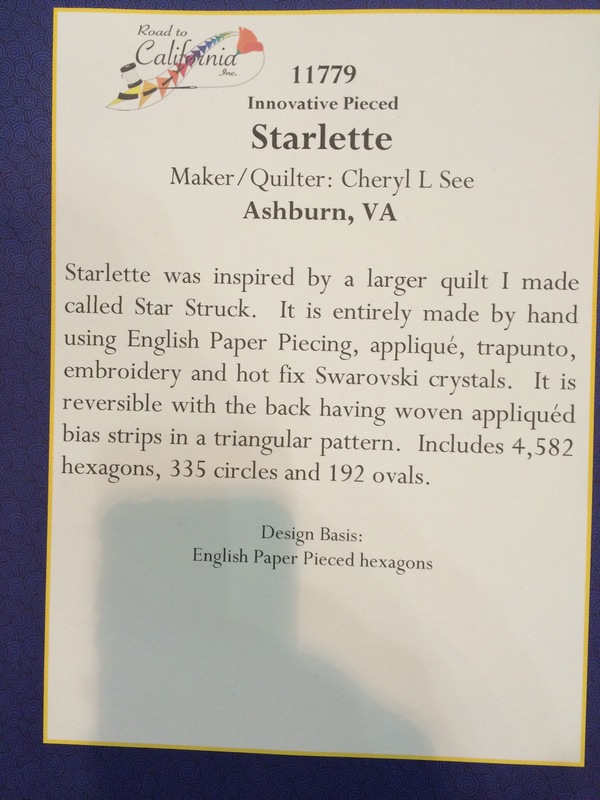 Here are the names of the winning quilts from yesterday that were sponsored by PG… Quilts shown on previous post ….They are not commercial patterns for sale . Next Post CA shop opening today! It was a great day. Glad we got a few minutes. Wishing you a fantastic show. Hi to Nick too. Lisa, Could you post or repost your new address for Murrietta? Feb 2nd, hope to see you soon! yeahhhh Roxanne, congrats on bucket list. Isn’t it just wonderful to get to see all the beautiful kits in person and to touch them. It is very motivating to be there and everyone at PG goes above and beyond to help. This will be my third trip tomorrow I am soooooo excited, probably won’t sleep much tonight just thinking about it all. See ya all at road 2 Ca tomorrow. 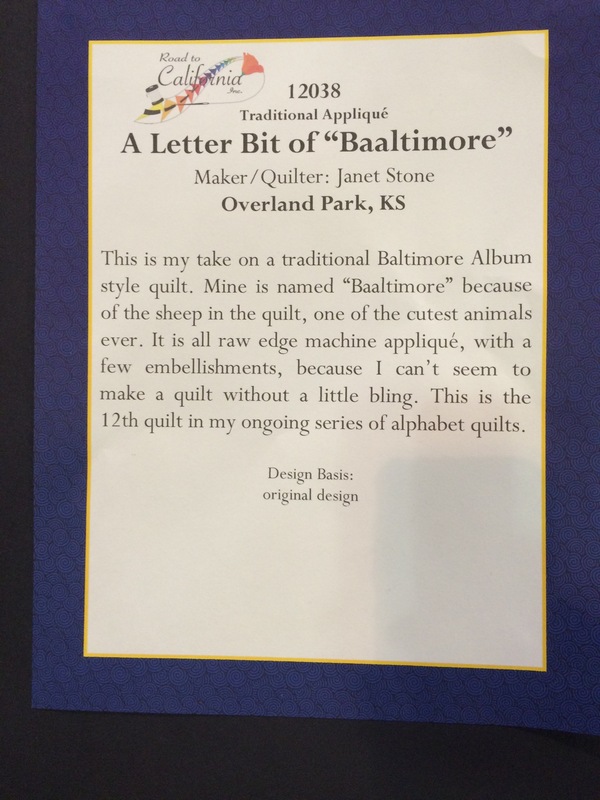 I would love to see those quilts that you sponsored more than the label–also am looking forward to the Murrieta store that is a lot closer than WI. Love following the progress on it. Happy days for you!! 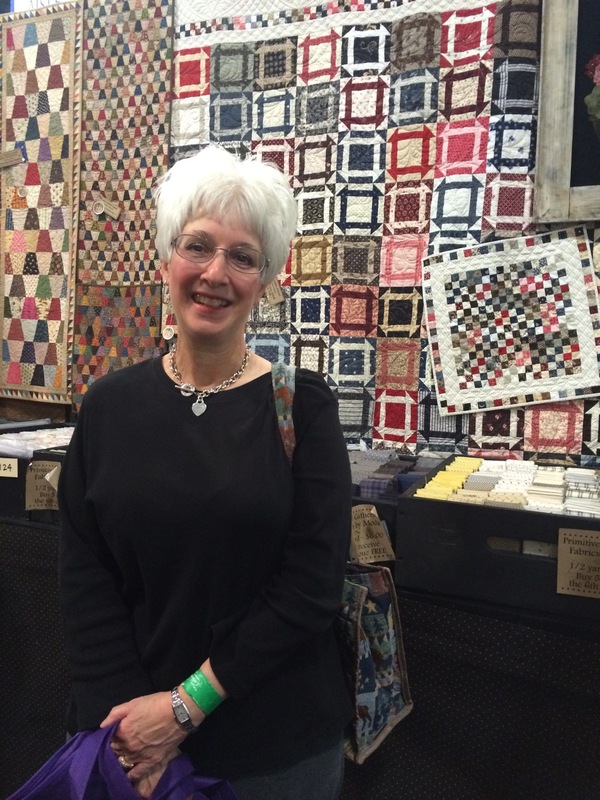 Never mind my comment above about seeing those quilts–I get it–I looked back. Wow! They are gorgeous and I can see why they were winners. Thank you. Yup…one of those invitations made it on my post this morning!! Check it out! As you can see, I can’t wait for Opening Day!! Thanks for another great day at Road! 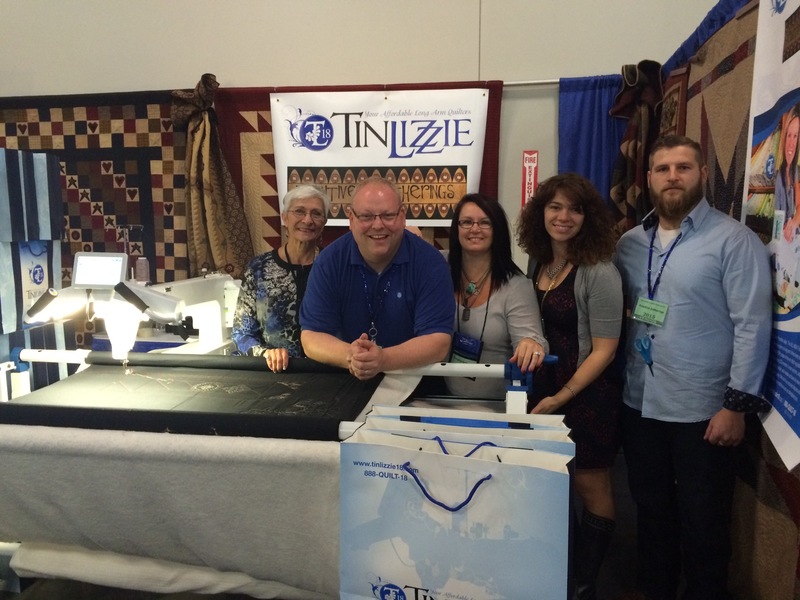 Loved your booth! We are opening February 2nd…but this is not our grand opening….that will be later…see you in the shop! It sounds like another great Road year! Here we are on the eve of the opening of your new store. Congratulations to all of you. What a lot of work to get it ready! Thanks for showing us pictures. I hope to be able to visit it one day. Good luck tomorrow and have a good sleep!